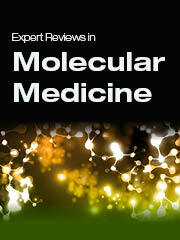 Expert Reviews in Molecular Medicine is an innovative online journal featuring authoritative and timely Reviews covering gene therapy, immunotherapeutics, drug design, vaccines, genetic testing, pathogenesis, microbiology, genomics, molecular epidemiology and diagnostic techniques. We especially welcome reviews on translational aspects of molecular medicine, particularly those related to the application of new understanding of the molecular basis of disease to experimental medicine and clinical practice. Is the conquest of Hepatitis C imminent?